On a sweltering afternoon, the last thing you want is an over-the-top dessert. 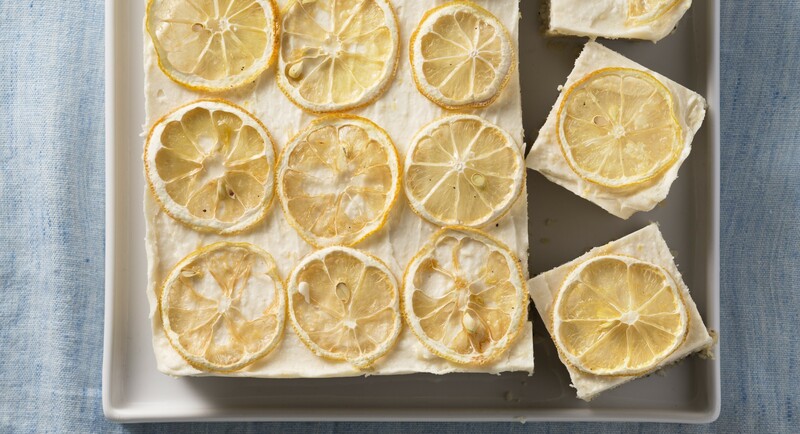 These raw lemon poppy bars have just a hint of sweetness, countered by the tart lemon and crunchy poppy seeds. 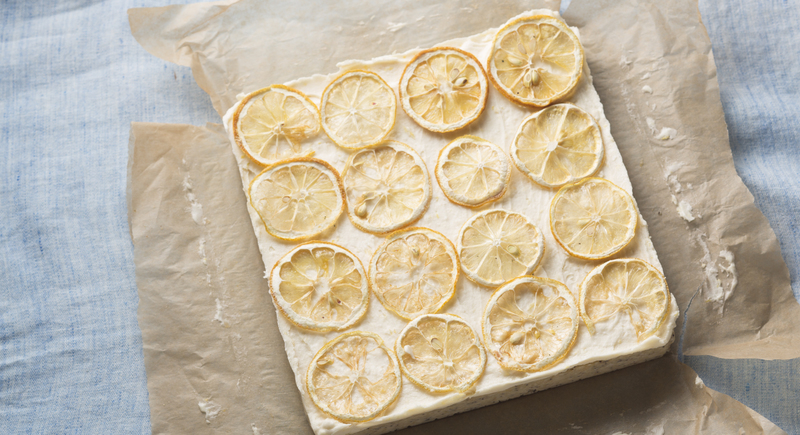 Line an 8 x 8-inch brownie pan with parchment paper. Place coconut, lemon zest and juice, coconut oil, honey, almond milk, vanilla powder, salt, and cashews in the bowl of a food processor and process until completely smooth. Stir in poppy seeds. Press mixture into prepared pan, pressing down evenly to pack tight. Place in freezer. In a small bowl, whisk together coconut oil, butter, lemon juice, and raw honey. Remove pan from freezer and pour frosting on top. Cover with plastic wrap and place back in freezer for a minimum of 3 hours or until ready to serve. 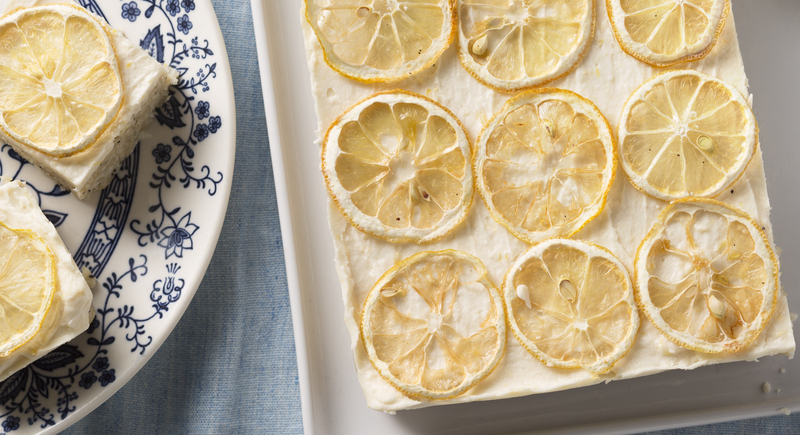 When ready to serve, decorate with candied lemon slices and cut into slices.